Rehabbed Units Renting Central OH Available! CORI LLC rehabbed units renting Central OH are located across the city. CORI LLC has 2 to 4 bed units and does accept SEC 8 vouchers. CORI LLC’s rehabbed units renting Central OH are located in Columbus OH and the surrounding communities. Our units are 2 to 4 bedroom units some with garages, and start at $550 a month. We do work with section 8 and accept vouchers. We have units located right on the bus line or if you prefer a single family detached in the Grove City area call 1-888-815-5116 EXT 730 Our rehabbed units renting Central OH all have 24 hour 7 day a week maintenance. Our maintenance staff responds to all calls with in 24 hours our sooner. We have rehabbed units renting Central OH with available leases from month to month , 6 months or yearly. Central OH is an area made up of Columbus OH which is the capital of and the largest city in the U.S. state of Ohio. It is the 15th largest city in the United States of America with a population of 822,553 (2013 estimate). It is the core city of the Columbus Metropolitan Statistical Area (MSA), which encompasses a ten county area. Under the Metropolitan Statistical Area (MSA) model, it is the third largest metropolitan area in Ohio, virtually tied with the Cleveland MSA and only slightly behind the Cincinnati MSA (which includes portions of Kentuckyand Indiana). Rehabbed units renting in Central OH is what CORI LLC specializes in. Our units are safe clean units that you can make home. To get the rental process started or to find out more information on any of our rehabbed units renting in Central OH; leave your contact information on the form or call 1-888-815-5116 EXT 730. CORI LLC can help you find rehabbed units renting in Central OH ,Ohio Real Estate agents, realtors, rentals, condos and information about the Ohio real estate market. 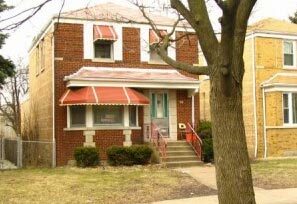 Free List of Rehabbed Units Renting Central OH!